Only in one of the most stimulating and ingenious areas of the World could you pass by an outdoor 60 square metre brick wall designed to display a wide range of stylish advertising venues, as well as some of the greatest graffiti artists in the UK. Thanks to a passionate family, the Shoreditch Art Wall was unveiled on the remarkable East London street art scene 18 months ago. Used by inspiring artists, those 4 panels have hosted some extraordinarily innovative exhibitions over time. The brick wall, which can be hired for a definite period of time can either be painted or hung with canvass and has already been used for all sorts of eye-stimulating and original projects. An other sensitive way love was shown on the Wall in Shoreditch happened last summer when CODE FC, a multi media artist, painted a mural for paralympian Baroness Tanni Gray Thompson’s “Plight of the Handicapped”. Once again, the emotion was palpable when she, accompanied with the Minister of Culture, unveiled the incisive artwork. The most recent of those expositions was a campaign designed to invite passers-by to write on the bulky white wall ‘What (they) are Grateful For’. Everybody from amateur painters to random Londoners were welcomed to express their creative and personal feelings through the medium of art. 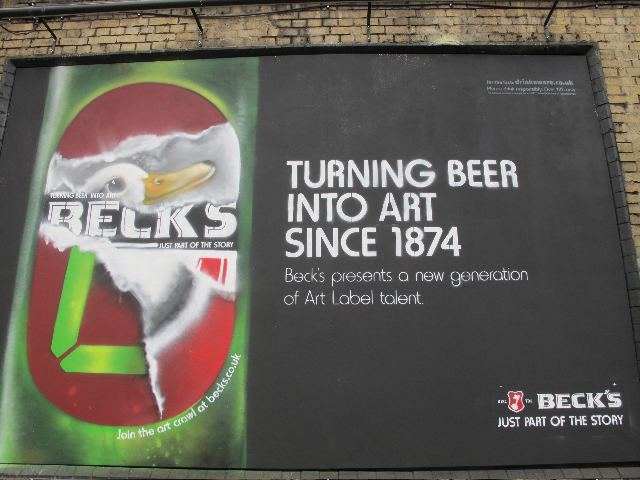 Marketing companies, such as Beck’s, Universal Pictures and The Disney Company have also used the Wall to advertise their brand conveniently located in the high traffic area of London’s fashionable creative district. Featuring some of the finest artists in the UK and representing the endless imagination of the area, the Shoreditch Art Wall is becoming an iconic hotspot of the east end and keeps grabbing the eyes of curious passers-by. 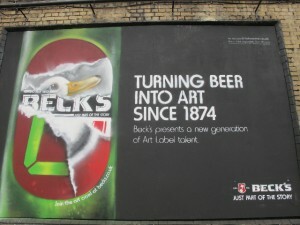 More than a common brick wall, than a simple advertising panel and than a wide graffiti spot, the Art Wall greatly deserves its location in the heart of the inspiration of the capital. Coming up soon, a painting contest for local school children for a 1,000 pounds prize… Stay sharp and tuned!